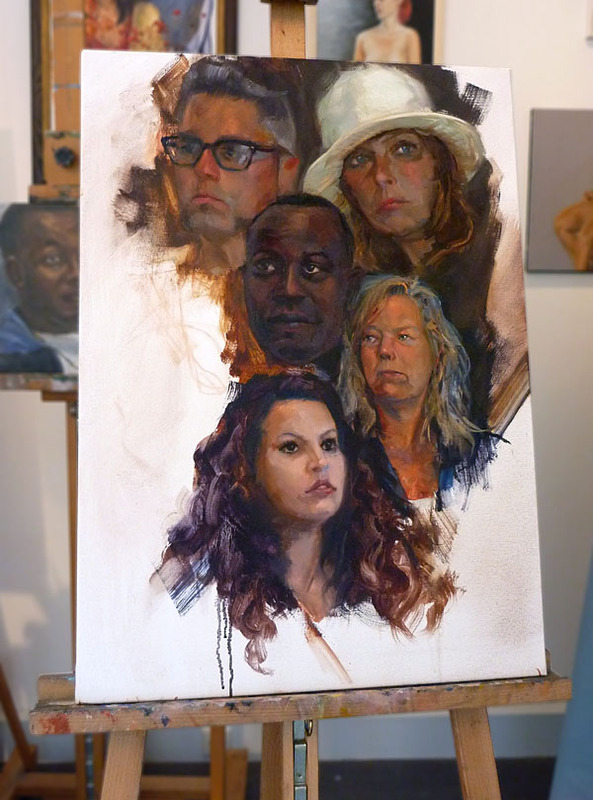 Here is another work-in-progress of the portrait mashup I did at the Portrait Month. 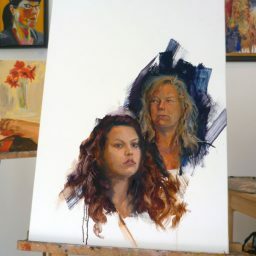 That one is over now sadly – still want to finish the image though (see first step here). 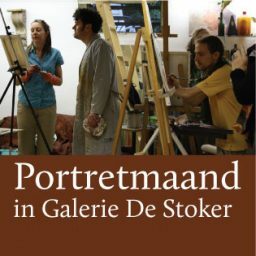 So maybe one or two portraits will still come. 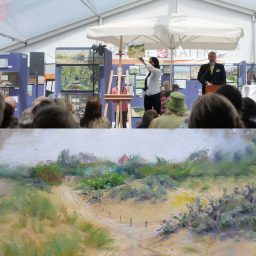 But the next event is planned: I’ll be at the Noordwijk Painting Festival – where lots of artists paint from real life for one week. Expect lots of beach-pictures coming up!